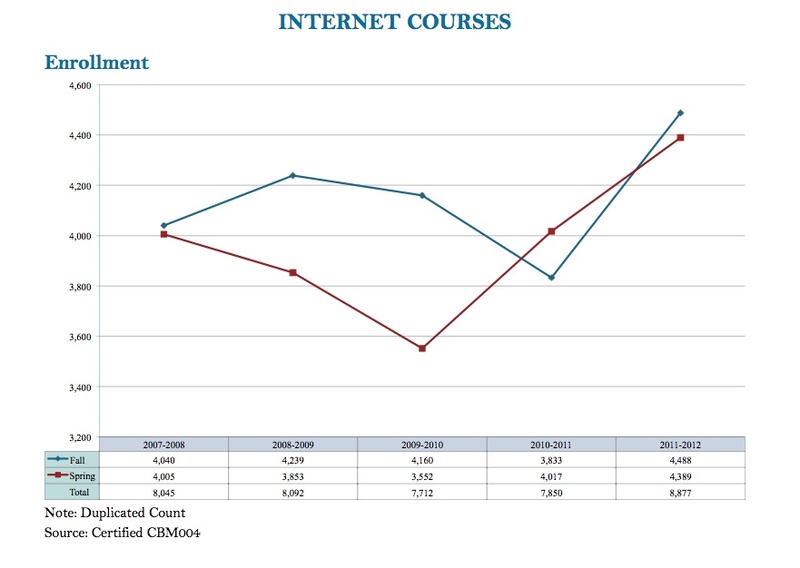 According to The Palo Alto Fact Book, almost half of the 9,163 Fall 2011 and 8,387 Spring 2012 students took at least one online course. Online students have to have determination and willpower to make sure that the classes they take go the way they are supposed to go. When it comes to online classes, you are your only enemy. Online students do not have a set schedule for learning. It is more of a convenience for these students to be able to have school whenever and wherever they want. “Being able to do what you want when you want and at your own pace is a plus for me. I have a crazy and hectic life schedule, and sometimes I feel like going to school won’t fit into my schedule. That’s why I like online classes,” said Joey Guzman, a freshman Computer Programming major. Some students don’t like the concept of online learning. They think that they don’t get enough help when wanted, and it’s not convenient when needed. Some students still like the one-on-one interaction with the teacher, and they tend to work better when they learn visually and verbally. For more information about the pros and cons of online learning, go to: Survey Information. The pros and cons to online learning for students vary. Online learning is a relatively new thing that a lot of students want to try because it is a convenience to them. However, make sure online courses are right for you.